Another woman has stepped forward with an allegation that Calgary MP Kent Hehr behaved inappropriately, and other women have spoken out to say they've been warned of his behaviour, after the MP temporarily resigned from his position in cabinet pending an investigation earlier this week. An employee at a Liberal MP's constituency office said she was "groped" by Hehr at a caucus party in 2016. CBC News has granted her anonymity because of threats the other woman who has come forward has received. She told CBC News that she has reported the incident to her employer who will be passing on the allegation to the Liberal party whip. Hehr released a statement Thursday that said he welcomes and respects the investigation process. "Throughout my career I have always tried to conduct myself with respect towards others, and I understand the most important thing is how each individual feels," he said. He did not respond to a request for comment on the most recent allegation. Jenn Prosser is a political organizer in Alberta with more than a decade in provincial and federal politics. She told CBC News that while she was not harassed personally, she was first warned to stay clear of Hehr while in student politics at the University of Lethbridge years ago. "They had kind of pulled me aside, 'this is just an FYI, Kent Hehr is known to be really handsy, he's been known to grab women, he's pulled other students onto his lap before,'" she said. "I'm so glad people are speaking out because the whisper campaigns, the informal methods of keeping folks safe, were acts of desperation." And, she said it's hardly an issue specific to the Liberal Party. "All parties have problems. There are definitely people who are problematic in every political party," she said. 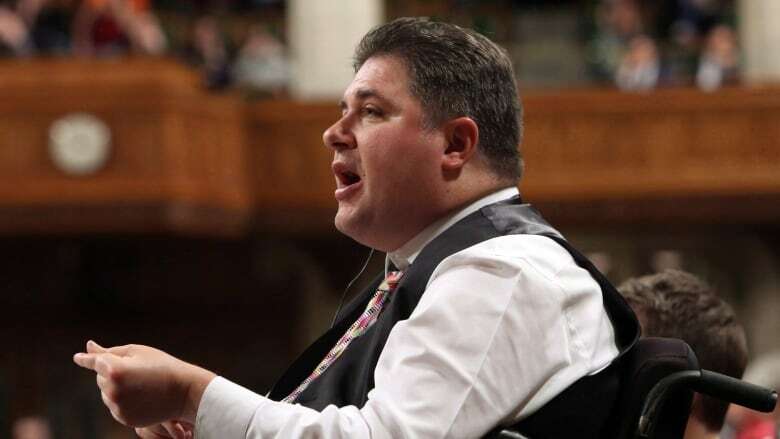 Two other people involved in different levels of Canadian politics confirmed to CBC News that they had been warned of Hehr's behaviour, and say they know of women who have been the subject of unwanted sexual comments or physical contact from the Calgary MP. The woman who first accused Hehr of inappropriate behaviour on Twitter on Wednesday sent out a tweet Saturday morning saying that since she made the allegations, she has received threats. Hehr was one of two Liberal MPs in Calgary until last year when the second, Darshan Kang, stepped down from his position in the Liberal caucus to work as an independent after two women made allegations of sexual harassment. Kang has denied the allegations. 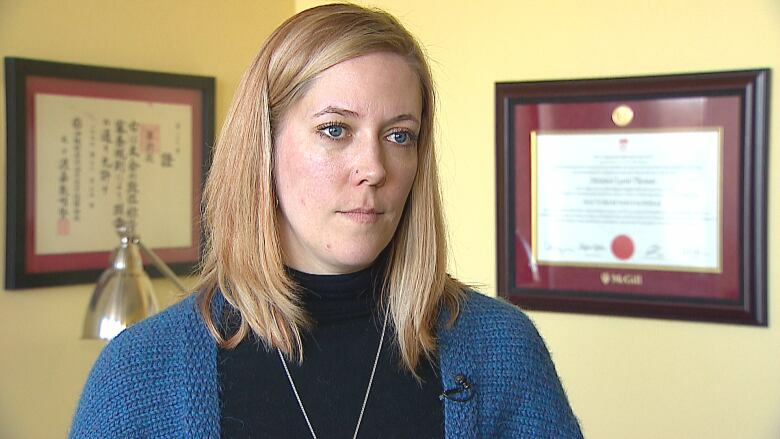 "The part I'm most angry about and most worried about, is what happens to these young women when they're trying to do their jobs," said Melanee Thomas, a political scientist at the University of Calgary. She said women who speak out often do so at considerable risk to their careers. "It's an open secret that women, especially younger women in staffer positions — usually these are very vulnerable positions — they don't have good protection from people who are entitled to their entitlements," Thomas said. She added that the reckoning that has emerged in the wake of the #MeToo movement should remind people — bystanders or otherwise — to reflect on their own complicity. "There's an absence of moral leadership when people know and they don't do anything," she said. 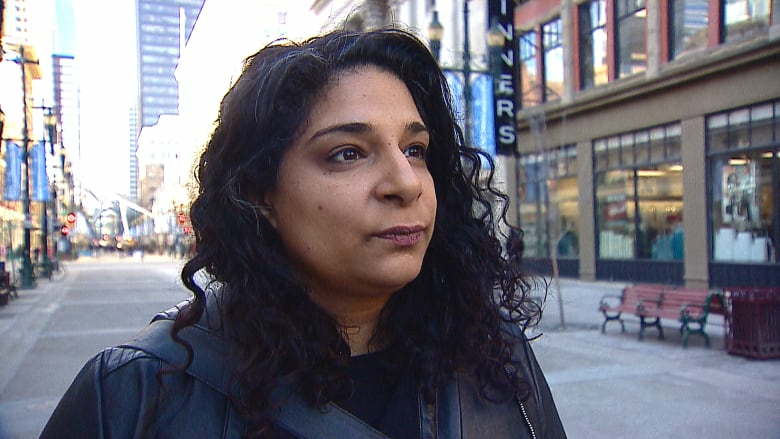 Maki Motapanyane, an associate professor of gender studies at Mount Royal University, said what Canadians are seeing now is an airing of the unfortunate reality of many people's day-to-day workplace experiences. But, she noted, just because more women are having their voices heard, doesn't mean it's without consequence. "The people coming forward have their own woes to worry about … they also have to face the fear of retaliation," she said. "So even in a context where coming forward is more common now, it doesn't mean that one is free from retaliation of doing so." Ontario PC leader Patrick Brown and Nova Scotia PC leader Jamie Baillie resigned their leadership positions amid allegations of inappropriate behaviour, and long-time CTV Toronto reporter Paul Bliss was suspended pending an investigation into alleged sexual misconduct. Brown has denied the allegations. Salimah Kassam ran for city councillor of Ward 10 in Calgary's 2017 municipal election, and she's planning on running again in 2021. She said that while she appreciates the fast response that's happened in response to the claims that have come forward, she hopes there will be time in the future to have a more nuanced conversation about what this means for people in politics. "If we had time and room for deeper conversations for greater learning, if we weren't on a constant content cycle and all that stuff, then maybe there would be a more graceful solution to explore," she said.